DF4 7116 climbed the bank from Modaoshi with another train of empties as the sun struggled to break through the haze on 14 October 2008. Most of the freight traffic on the line consists of trains of empty wagons returning to the Jixi coalfield. 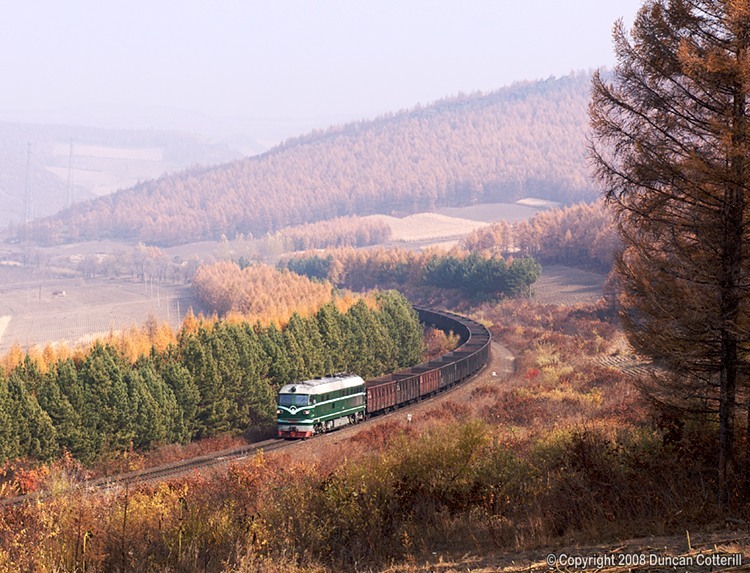 Loaded trains tend to be routed via Linkou, avoiding the steep gradients between Mishan and Modaoshi.